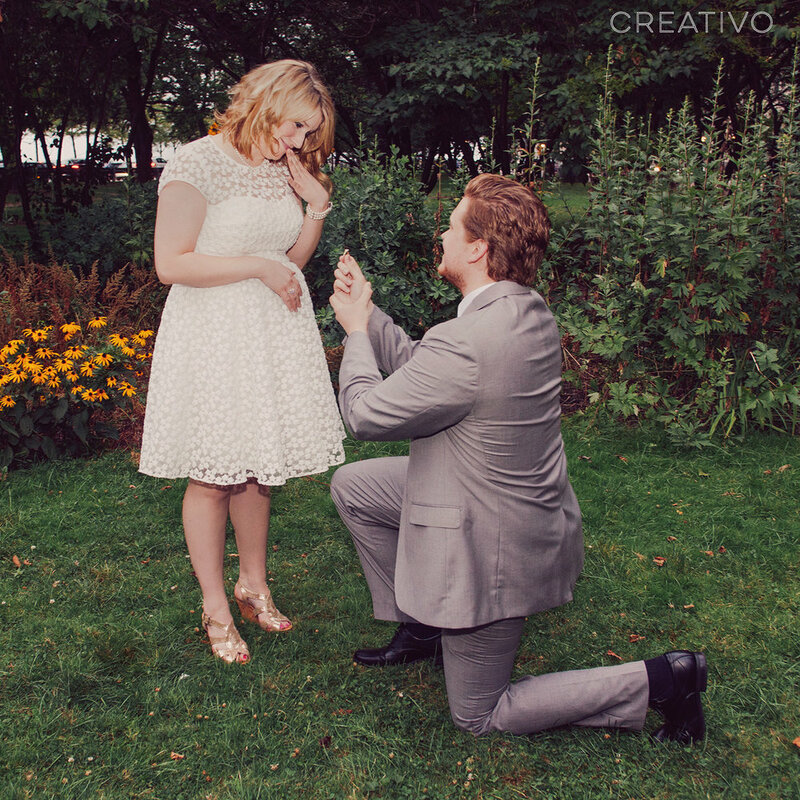 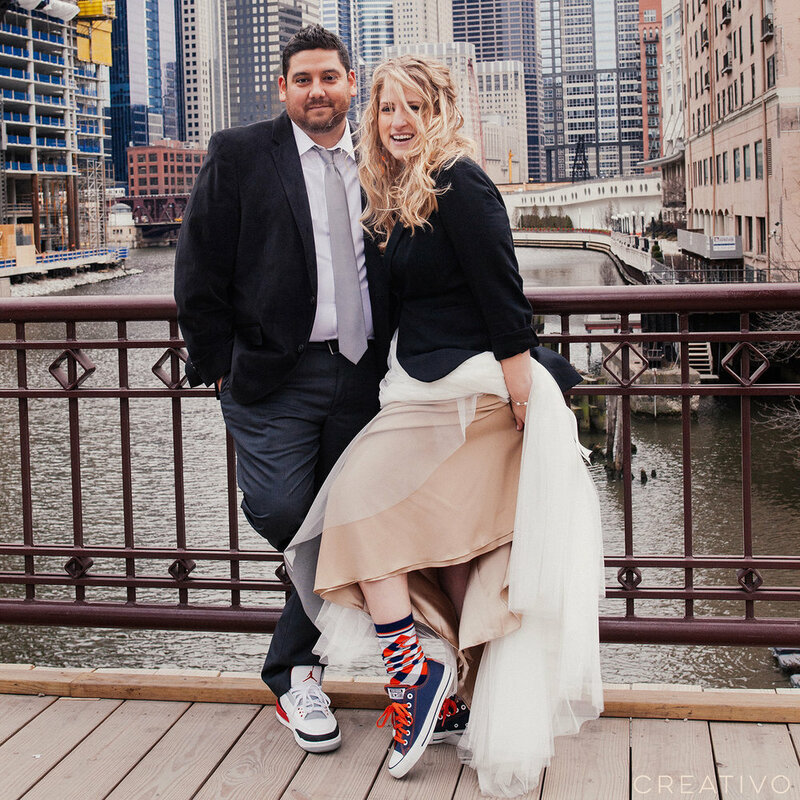 Brooke and Craig traveled from Michigan to celebrate their December wedding in Chicago. 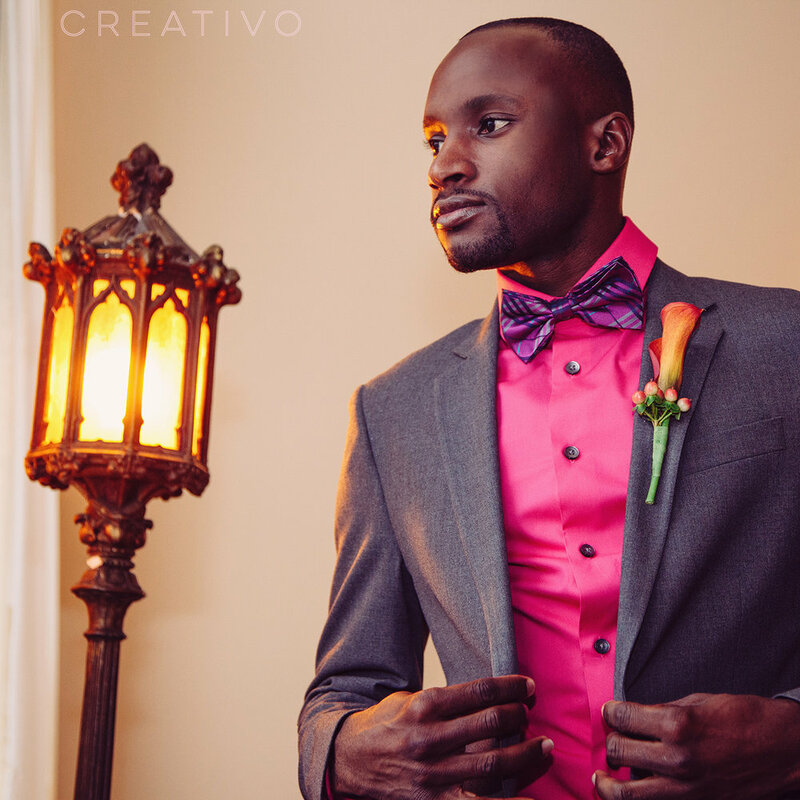 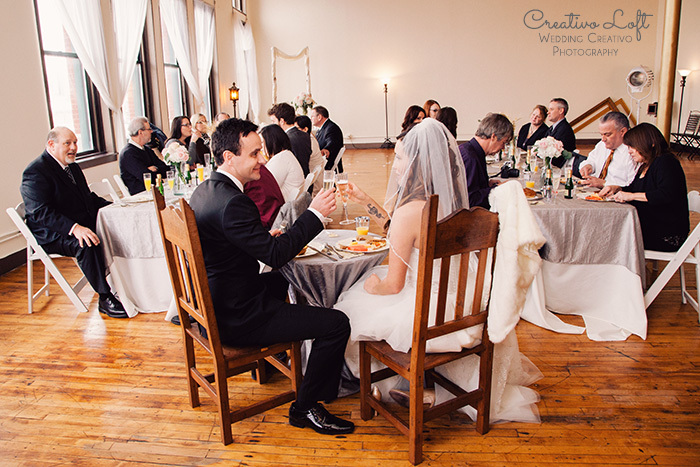 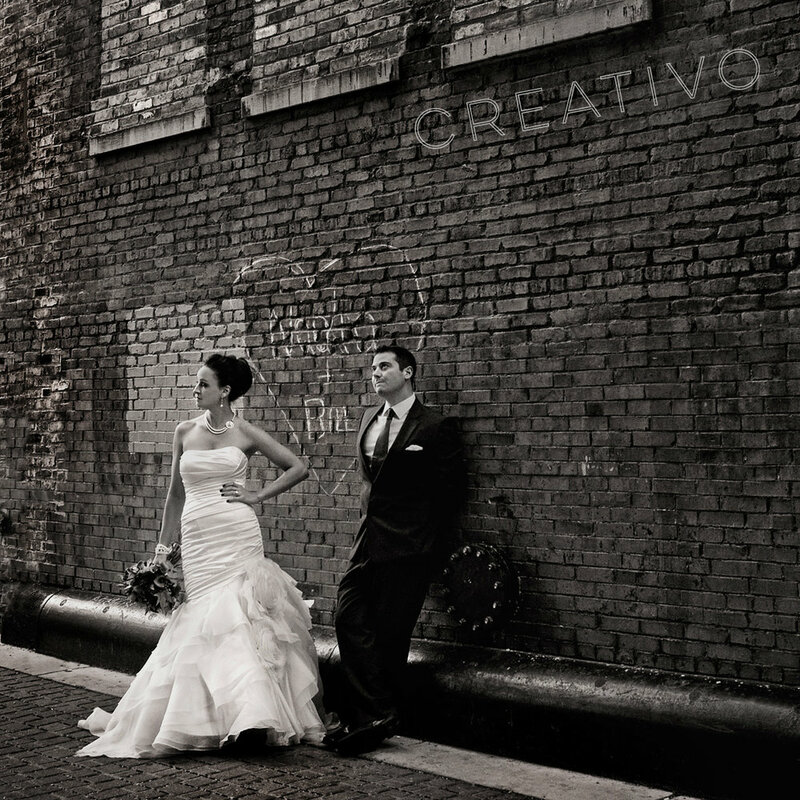 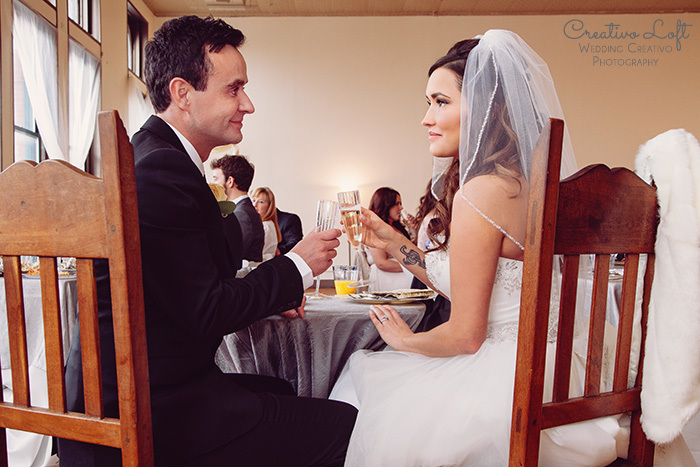 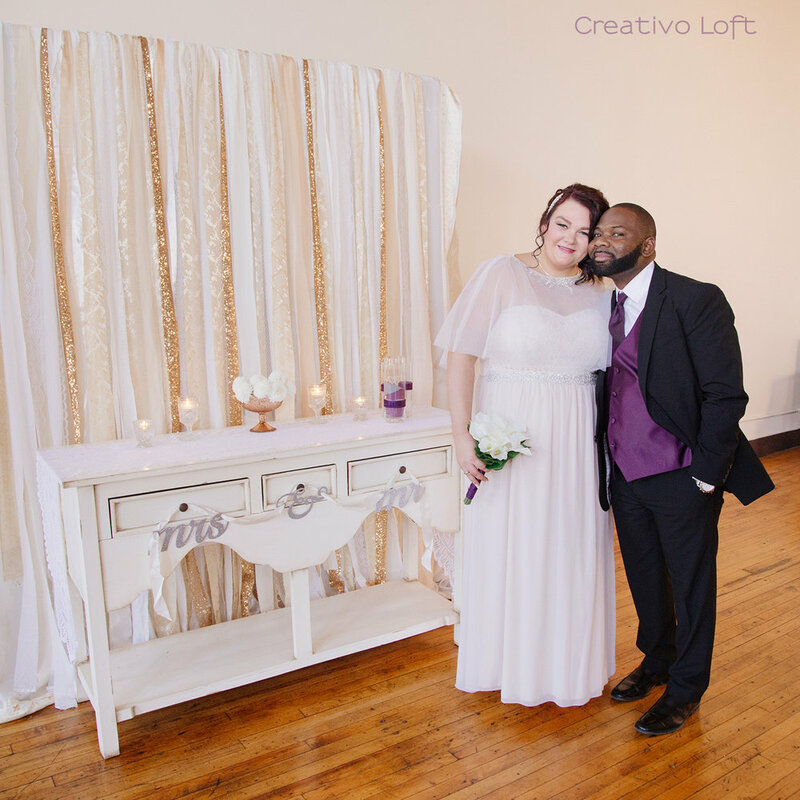 Their morning brunch wedding with us at Creativo Loft was the kick-off for their New Year's Eve wedding day. 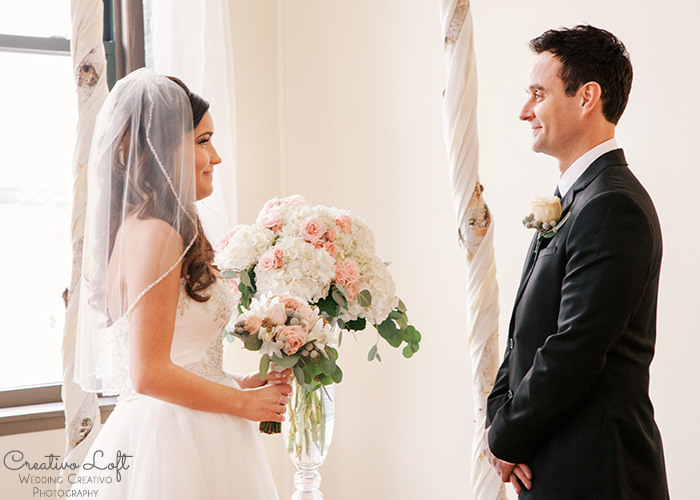 Bride Brooke chose blush, silver and gold tones for their powder-snow day. 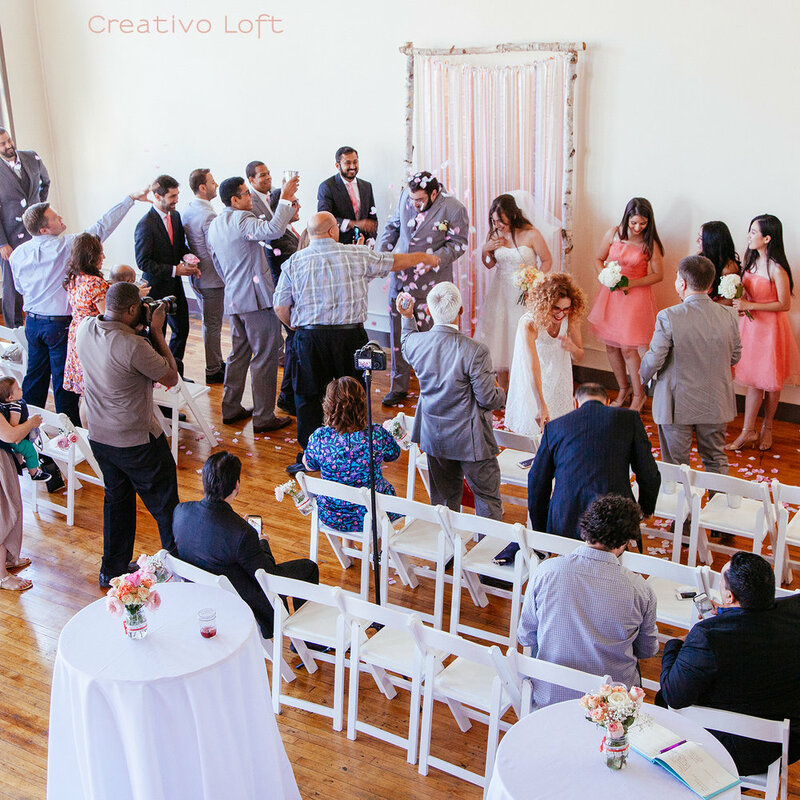 The groom's family lives in Scotland, so a small gathering of the bride's side welcomed him to his new family in America. 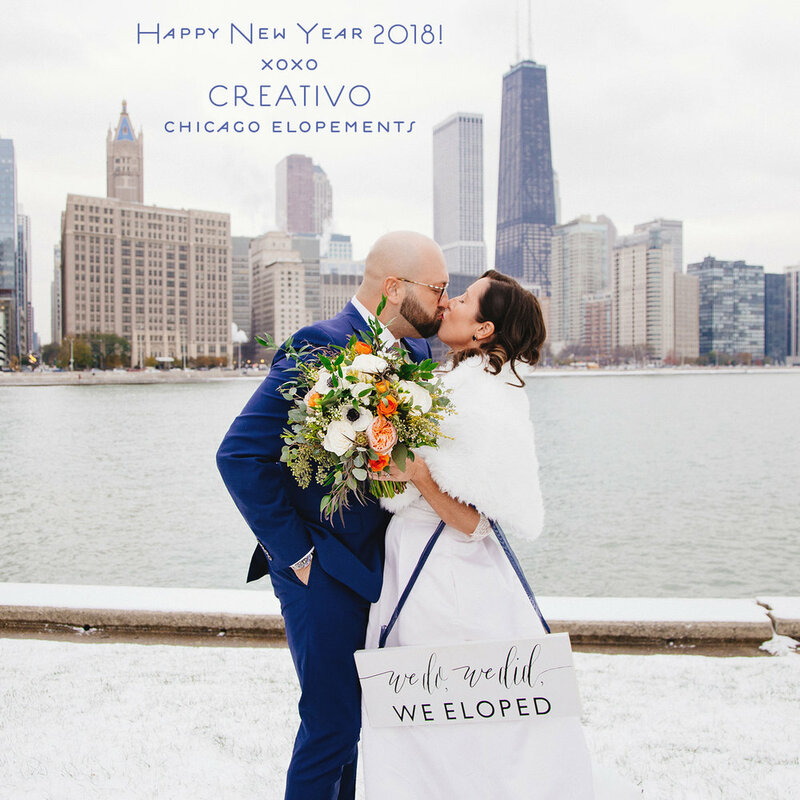 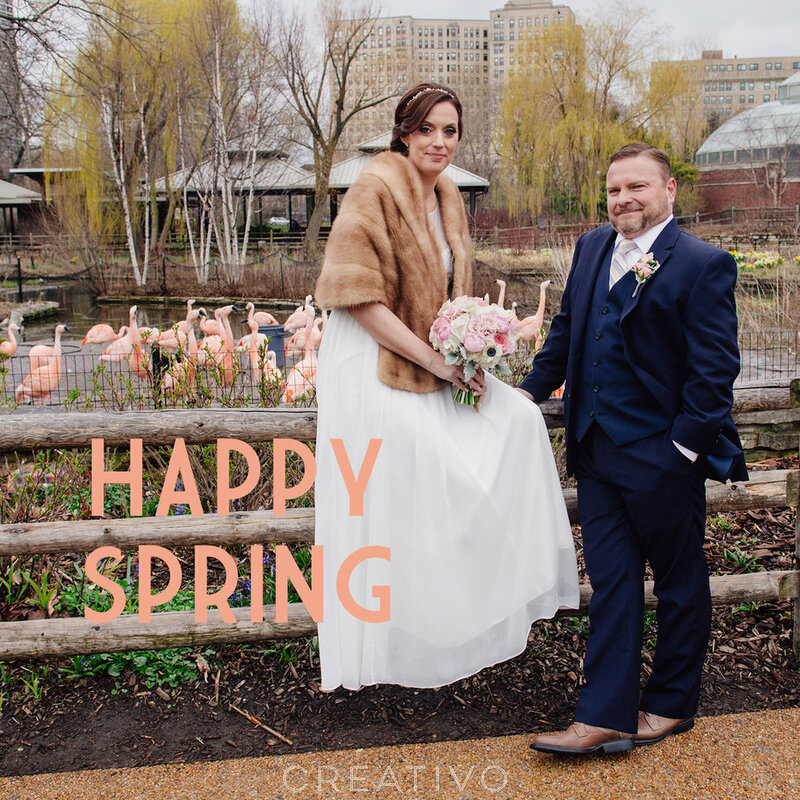 Despite the chilly temperatures, Wedding Creativo photographer Giorgio and the couple went around to a few downtown Chicago landmarks for some beautifully snowy wedding portraits. 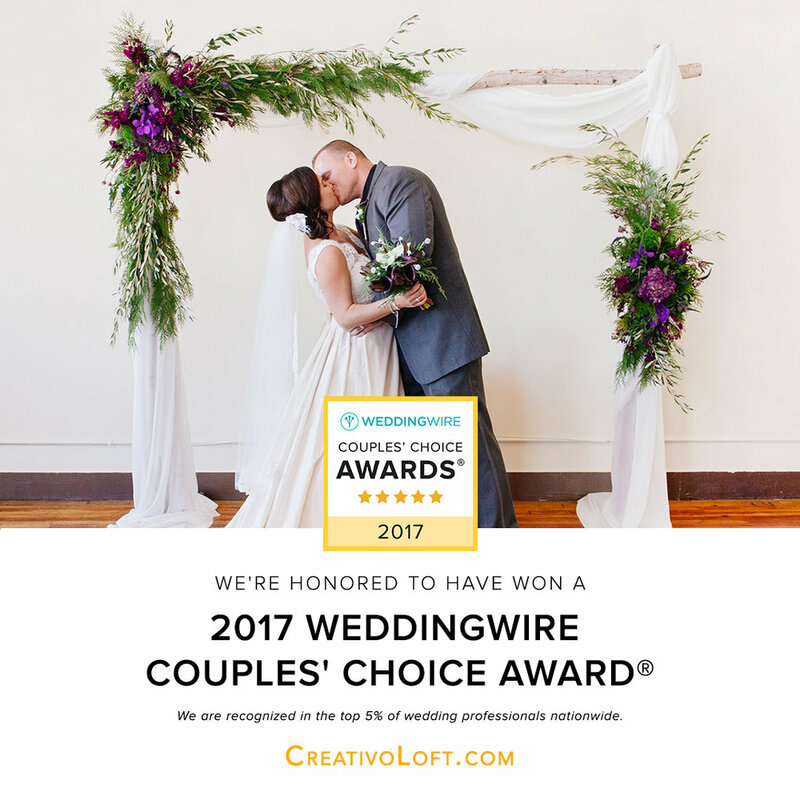 Congratulations to Brooke and Craig!